We are looking for Distributors on all India basis. If you are experienced in the distribution of Hair Care products or cosmetics please contact us. Also we are franchising our chain of salons in A grade and Metro Cities of India. To meet the diversified requirements of our prestigious clients, we are engaged in offering Salon Brushes. - Heats up to 450 degrees. To activate your brush, hold down the Power Button for about 2 seconds until the numbers appear on the display. Then press the +/- buttons until you've reached your desired temperature. 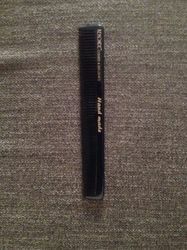 We deal in a wide variety of (Toni & Guy Comb)and contact us for any related requirements. 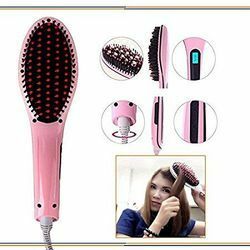 Hair brush vibration magnetic therapy. For details contact us. Regards S K Enterprises. 2High Quality Plastic With Metal Bristle. Our company is the foremost in offering Simply Straight Brush. - Soft touch rubberizd surface for superior comfort.